Hazard mitigation is one cornerstone of emergency management. Mitigation is the ongoing effort to lessen the impact of natural disasters on people’s lives and property. The Hawaii Emergency Management Agency (HI-EMA) is responsible for coordinating disaster loss reduction programs, initiatives and policies throughout the state. 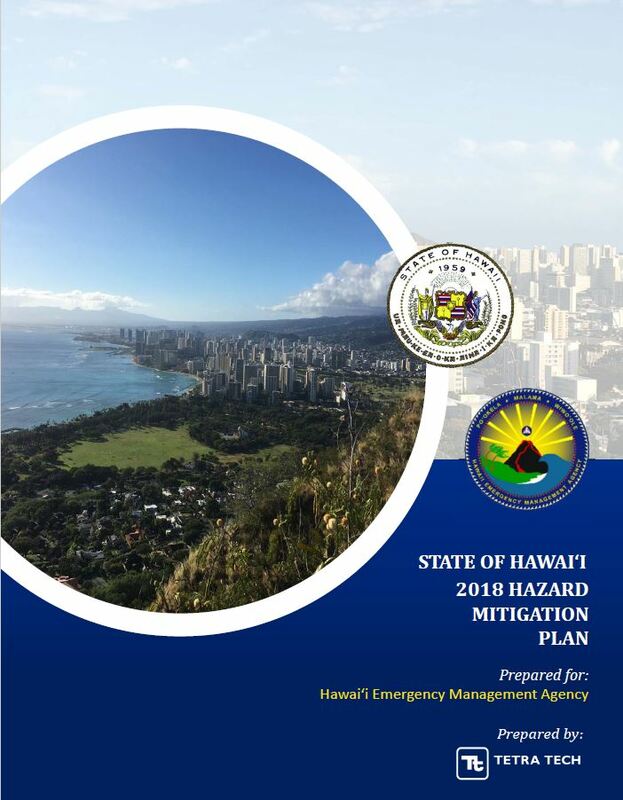 State and County Agencies promote disaster loss reduction through the development and implementation of State and County hazard mitigation plans. More information on HMGP availability for 4366-DR-HI will be posted once available. For more information on mitigation programs and policies, click here. To qualify for mitigation grants, State and County Agencies must develop and implement hazard mitigation plans. The State Multi-Hazard Mitigation Plan identifies the major natural hazards that affect our State, assesses the risk that each hazard poses, analyzes the vulnerability of our people, property and infrastructure to the specific hazard, and recommends actions that can be taken to reduce the risk and vulnerability to the hazard. The State Multi-Hazard Mitigation Plan also contains a description of programs, policy, statues and regulations applicable to hazard mitigation. To download the State Multi-Hazard Mitigation Plan, click here. HI-EMA administers the Hazard Mitigation Assistance Grant Programs to State and County Agencies, and qualifying nonprofits. Grant programs include the post-disaster Hazard Mitigation Grant Program (HMGP), the Pre-Disaster Mitigation (PDM) Grant Program, and the Flood Mitigation Assistance (FMA) Grant Program, which funds mitigation of high loss insured properties through the National Flood Insurance Program. Acquisition, elevation, relocation or drainage improvements of repetitive flood loss structures. Construction or upgrade of general population shelters. Enhancement of development codes and standards. Safe rooms and storm shelters. Who is Eligible for Hazard Mitigation Grants and How Do I Apply? State and County Agencies are eligible to apply for all three (HMGP, PDM and FMA) Mitigation Grant Programs. Certain private, non-profit organizations are eligible to apply for HMGP only. Individuals and businesses are not eligible to apply directly; however, an eligible applicant may apply on behalf of individuals or businesses. For more information on the current Mitigation Grant funding opportunities, click here. For more information, please contact the State Hazard Mitigation Officer at 808-733-4300.